V Bottom 8ft by 24 in. 1968 sticker. Butto was renown for his water photography capturing some of the most iconic tube shots to come out of Cronulla in the seventies. Greg was also and excellent Knee Boarder who charged equally hard at The Point and Island. Here’s a cover shot of Butto on the 2nd last edition of Free Surf and a sales docket from Peter Clarke Surfboards ’76. 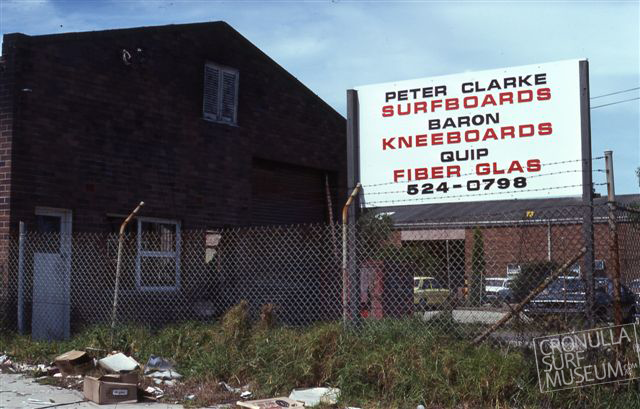 The end of Peter Clarke Surfboards came in 1976 when a factory fire destroyed the building and contents. The board production never resumed.Photos by Greg Button. 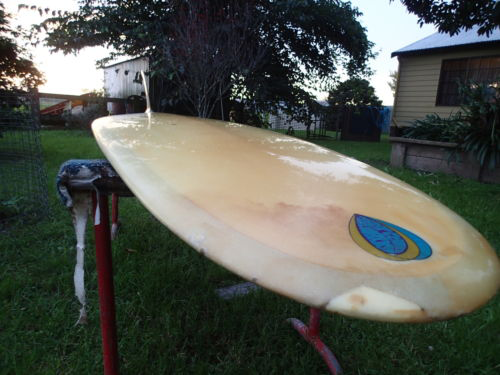 Circa 70’s Peter Clarke 6ft 10in Single fin. 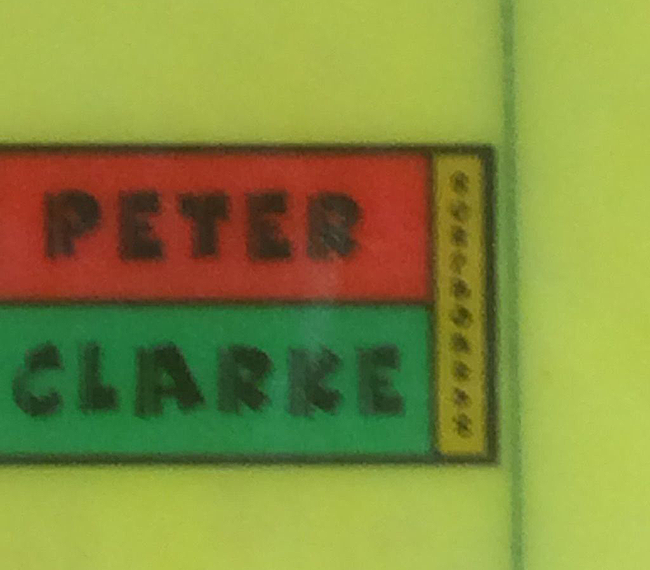 Early 70s Steve Griffiths was shaping at Peter Clarke Surfboards. 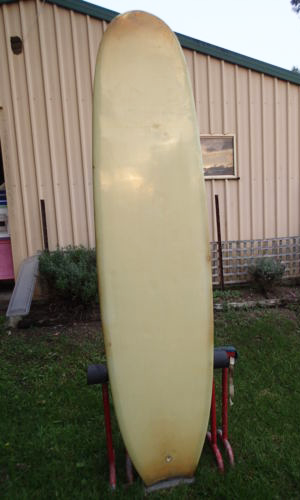 This is one of his shapes back then 6ft 9in 19in. Keith Paull was one of the highest profile Aussie surfers of the 60’s moved to Cronulla from the Goldcoast in ’66 and rode and shaped for Peter Clarke Surfboards until ’68 eventually moving to the Northside factory. This adv from Surfing World in 68.